You can also integrate Simple Finance Integration with Cash Management, Cash Operations, Bank Account Management, and Liquidity Management. 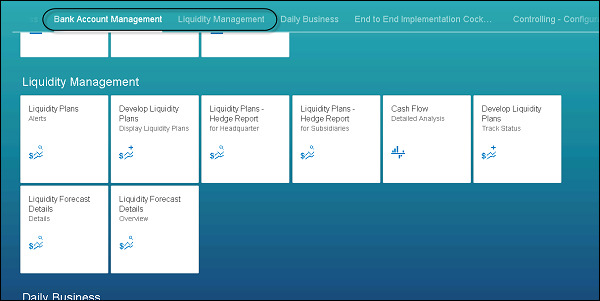 Following are SAP Smart Business apps available under Fiori User Interface for Cash Management. 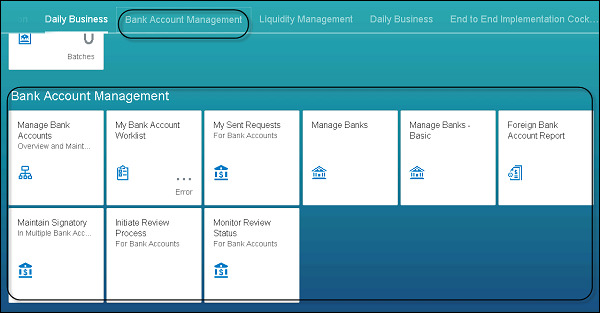 When you open SAP Fiori Launchpad, you can see the list of Transactional and Analytical apps under Liquidity Management and Bank Account Management that can be used with SAP FI.